There are more options for pet friendly travel than you think! Learn the tricks to keeping your costs down and your fun level high on your next vacation. Taking your pets along with you on your vacations and adventures doesn’t have to be inconvenient or expensive! Some of the biggest misconceptions about traveling with animals are that it is a major inconvenience. Whether you are planning to fly, drive or take a train, you should know that with a little planning, your pet friendly travel options are varied and infinitely customizable to your needs! There are plenty of hotels that allow pets. At Vacation Pet Friendly, you will get updated pet policies to ensure you aren’t surprised upon arrival. Vacation Pet Friendly has the largest selection of pet friendly hotels online. Read up on the website’s blogs to find detailed descriptions on hotels and what’s fun to do around them. Plus, there are plenty of articles on the website to read explaining what to expect at a pet friendly hotel, what kind of pet perks each offers and things you should pack before taking off. If you plan to drive, simply bring a set of travel bowls, food and water. Stop every few hours to let your animal eat, drink and do its business. This is good for you too: stopping to stretch your legs is good for you – too many hours spent in a seated position is no better for you than your dog. You may want to throw an old blanket or sheet over the backseat, to keep fur and dirt off your car seats. Avoid feeding your animal too much at a time, to ward off motion sickness. With any luck, your animal will go to sleep for much of the journey, just like a child. Driving is the best option if you’re looking to cut down on costs and keep your animal as comfortable as possible, but it’s not the only one. Read this article for very important information on pet friendly car rentals. For fliers, there are a number of airlines that can help you achieve your pet friendly travel goals. A little preliminary research into the policies of the airlines – they mostly follow the same format, but do differ in important details, so make sure you check – will show you that taking your pet along with you does not have to affect your flight plans very much at all. Once you’ve found a few flights that will fit your plans, see which ones have the best pet policies for your needs. Standard airfare for domestic animals can range from $50 to $100 each way. Considering the costs of kenneling, this is really quite affordable. Once you’ve reached your vacation destination, keep up the pet friendly travel by staying in a hotel, motel, park or rental that is near some kind of park and doggie day care facility. We have listings for parks in every city. For example, if you are going to Las Vegas, simply visit our Pet Friendly Lodging & Travel Guide for Las Vegas to find endless listings of pet friendly parks, restaurants, events, activities and more. 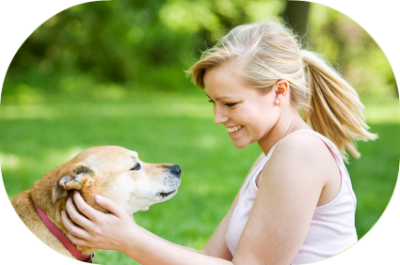 This will ensure that you never have to go far to let your animal get some exercise and fresh air, and will always have a place to go should a day’s plans necessitate leaving him behind. Better yet, if you’re with a group, why not split up the day’s activities so that someone is always with your animal? For instance, if only a few of you want to check out the local museum but your friend wants to go spend the morning at a leisurely brunch, let her take your pet. For more tips and information on pet friendly travel, click through the rest of this site. 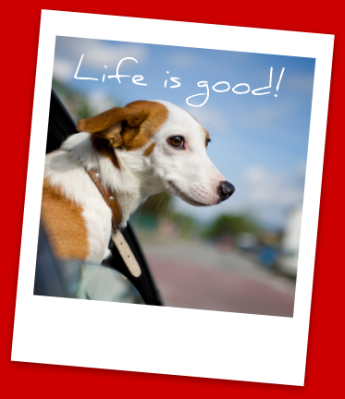 Check back often to see the latest news in pet travel and great deals on pet friendly hotels. Also, whether you are a first timer or seasoned pro traveling with pets, you will definitely want to read our travel tips. Enjoy your trip!